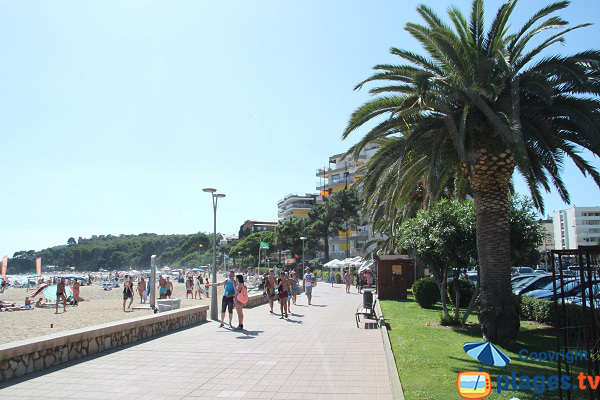 Located near the city centre, Lloret de Mar Fenals Beach has the distinction of offering two different atmospheres: one part very urbanised and one part bordered by pine woods. 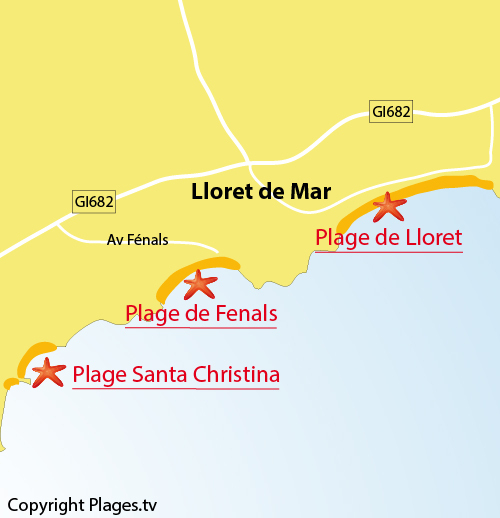 The southwestern part of the cove offers forests landscapes and leads to the famous coves of the area (Cala de Serrahima, Cala Boadella, just below the Santa Clotilde gardens, to name but a few) . 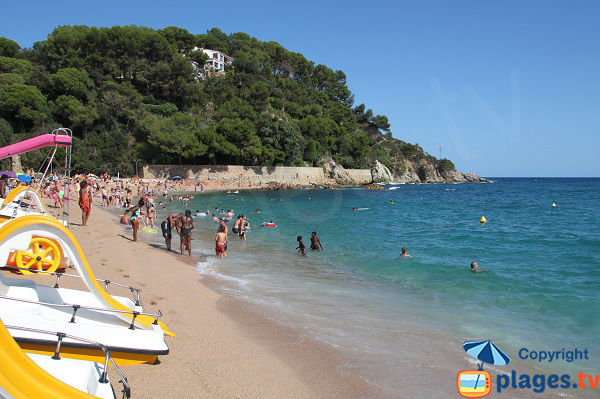 With moderate waves, a sea bed which, although steep 10% in the beginning, is safe, Fenals is a good compromise for the family. With the numerous, you will find something here to please everyone’s tastes. 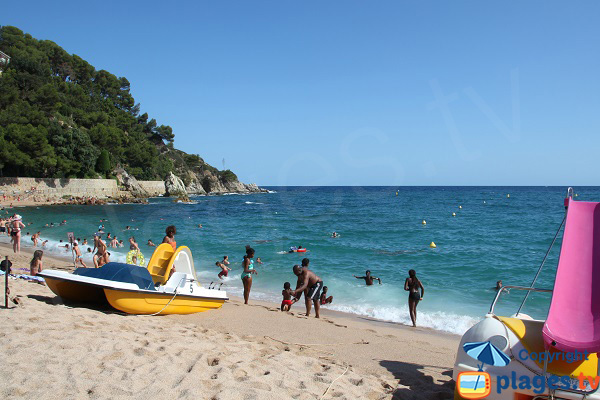 Even large Lloret beaches still have a small cove appearance. Rocky headlands are ideal for fishing or diving. Also some pedal boats for hire. 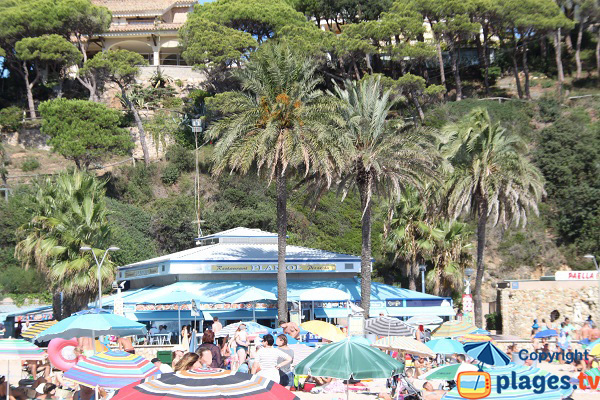 Northeast side, the promenade has a "Mediterranean resort" feel. This is not the case the further you go towards the southwest. 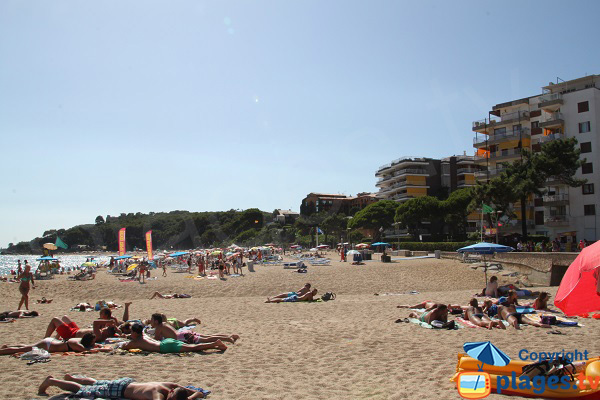 The beach is forty metres wide. Please note that the descent of the seabed in places is 10%.